The United States' incarcerated population -- the largest in the world -- is at the heart of several national debates: People argue about the economic burden it places on the federal budget, how inmates are treated and the long-term effects of the prison system. But hardly anyone talks about what happens to the children of those behind bars. That population is a large one. More than 2.7 million U.S. children currently have at least one parent behind bars, according to Rutgers University's National Resource Center on Children & Families of the Incarcerated. Approximately 10 million children have had a parent in prison at some point in their lives. And those children typically have to deal with a combination of trauma, shame and stigma that they typically don't receive specialized treatment for -- often while also grappling with instability and home and a heightened risk of living in poverty, according to the NRCCFI. Furthermore, the group is plagued by stereotypes and misconceptions, such as the belief that these children inherit a predisposition to misbehave or engage in illegal activity, NRCCFI Director Ann Adalist-Estrin said. Yet, Adalist-Estrin argues, this population isn't as monolithic as it is often made out to be. Even two children from the same family will often respond to a parent being incarcerated in different ways. This, activists say, is part of why these kids need specific attention. 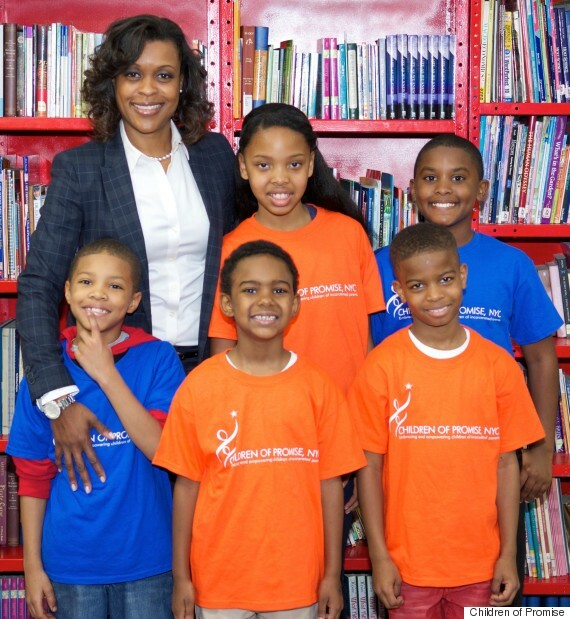 A number of nonprofit groups have stepped up over the years to address these issues, but few take as comprehensive of an approach as Children of Promise NYC, a Brooklyn, New York-based organization that offers mentoring, after-school and summer camp programs, and an on-site licensed outpatient mental health clinic, all specifically tailored to kids with incarcerated parents. Another arm of the program encourages participants to maintain a relationship with their incarcerated parent by writing letters and visiting. Sharon Content, the group's executive director, used to work with a traditional after-school program. She realized in 2006 there was a lack of resources for kids whose parents were behind bars, and founded Children of Promise NYC from her basement. The program began offering services three years later, and now helps more than 350 children ages 6 through 18 each year. Most participants are minorities, and all live in Bedford-Stuyvesant, the neighborhood where the program is based. Most kids are referred to the program through partner agencies like soup kitchens and shelters. Children of Promise NYC is focused on creating a space that is both safe and fun, giving youth the resources and camaraderie they need to work through their feelings, and to help avoid negative outcomes in their own lives such as dropping out of school or getting arrested. Unlike their classmates who may have an absent parent for other reasons -- such as a divorce, a deployment or a death -- these kids often aren't met with much empathy, Content says. Because of that, a little understanding goes a long way. "The organization allows them to be able to come into a space and have positive energy and some positive reinforcement that, again, every child needs," Content told The Huffington Post. "It's nothing special and we're not doing anything that every child doesn't need for development, but unfortunately many of these kids wouldn't get it otherwise." "These young people have so much potential, but due to the situation I don't think they realize it," she said. The program appears to be making a real impact on kids' lives. In an evaluation of the program conducted last year by research firm Metis Associates, staff reported 87 percent of participants exhibited improved problem-solving skills, 85 percent showed improved decision-making skills and 84 percent demonstrated increased motivation to complete their homework. Perhaps more importantly, Content said, no participant has become involved with the criminal justice system while in the program. "I want to break that cycle and not have the next generation enter prisons at a cost to society," she said. "We have to do something preventative and not wait until they're suspended from school or having behavioral issues, not attending school, hanging on the streets and committing crimes." 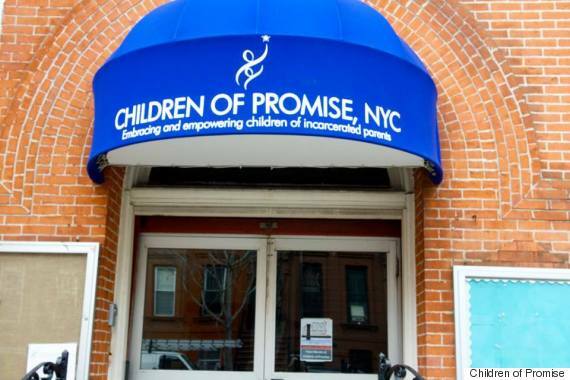 Children of Promise NYC is based in Brooklyn's Bedford-Stuyvesant neighborhood. Although the work of Children of Promise NYC and similar organizations seems to have been effective so far, data on the subject is limited. Existing research on children of incarcerated adults has relied on small, imperfect sample sizes skewed toward youth who have already gotten in trouble with the law or has examined European programs, Adalist-Estrin said. This makes it difficult to draw conclusions about what programming works for affected children. "We don't have a lot of answers," Adalist-Estrin said. "We know that these are kids more likely to have high levels of toxic stress in their lives and higher incidence of externalizing and internalizing behaviors, acting out and depression, as well as mental health diagnoses. We know they struggle with behavioral issues and emotional reactions that often interfere with school, but the question never answered is 'Why?'" Despite the lack of research, the activists keep doing what they can -- and new tools continue to be developed to help inform service providers, law enforcement and all individuals involved of best practices when it comes to the issue. The San Francisco Children of Incarcerated Parents Partnership coalition developed an eight-point "bill of rights" in 2003 to help raise awareness about affected children should be treated. Adalist-Estrin also noted that her group is seeing movement on their recommendations for changes to police protocol regarding the treatment of children who watch a parent's arrest. Last year, the U.S. Department of Justice's Bureau of Justice Assistance published guidelines for how law enforcement can help contribute to better outcomes for children of arrested parents. Adalist-Estrin said she is optimistic that progress will continue to be made in recognizing children with parents behind bars are not themselves inherently "bad." Instead, she thinks people will come to realize these young people are facing a unique set of challenges that deserve specific treatment. "We have to stop assuming that these are kids who are losers or 'incubating convicts,'" Adalist-Estrin said. "We should be doing this work because they're our children, children of America. They're hurting and their hurt is not any less damaging than any other kids' hurts. It's time we really recognized that." <a href="http://www.independent.co.uk/news/uk/home-news/private-prisons-performing-worse-than-staterun-jails-1722936.html" target="_blank">According to the Ministry of Justice's Prison Performance Assessment Tool (PPAT),</a> private prisons do worse in terms of the number of assaults and escapes, as well as in rehabilitating prisoners. In 2009, they get an average overall score for prisons in the private sector was 2.7, while public sector prisons got on average 2.83. In the following quarter this gap had widened to 2.6 and 2.85, a difference of nearly 10%.